Mothers have a tough time when they are pregnant and doing any sort of activity gets tiring but they just go ahead and do it. A Welsh mother however decided to take it to the next level by live streaming her pregnancy. The mother-to-be started with the live video from the time she set out to the hospital on the first day and she has got many people listening. According to a report in the Independent, the mother Ysis from Wales has taken the task of updating everybody about the experience at the hospital during pregnancy. The mother has a blog called Channel Mum which has over 30,000 followers on Facebook and so she decided to live videos. She started with telling her followers that everything wasn’t going well as she didn’t get a bed and there weren’t enough people to take care of her. The mother had started her video from home and informed everybody that she was going to have a 37 week induced labour because she had been informed about complications in her daughter’s birth. 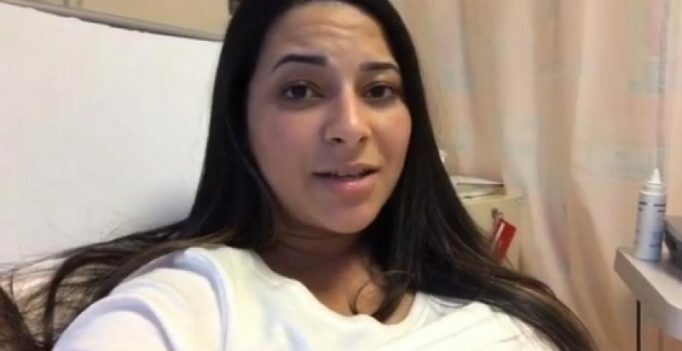 Ysis who already has a son with her husband in Wales also went to express concerns about how she had developed preeclampsia during her previous pregnancy. The mother has gone live three times and her last video has already received over 24,000 views. When Ysis started off with the live stream she was really nervous but after receiving immense support she decided to go ahead with it.